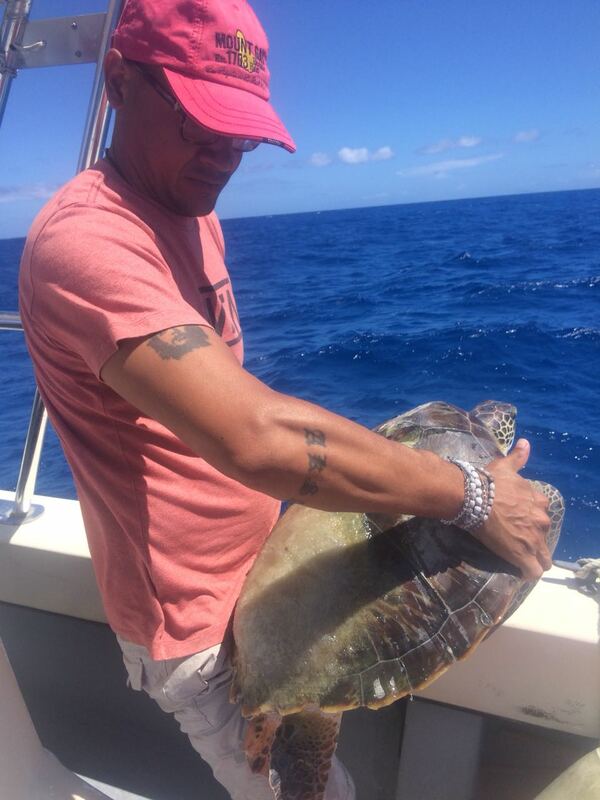 The Sint Maarten Nature Foundation was contacted by the Immigration Department at the Simpson Bay Substation regarding an injured turtle which was dropped off at that location by a vessel. 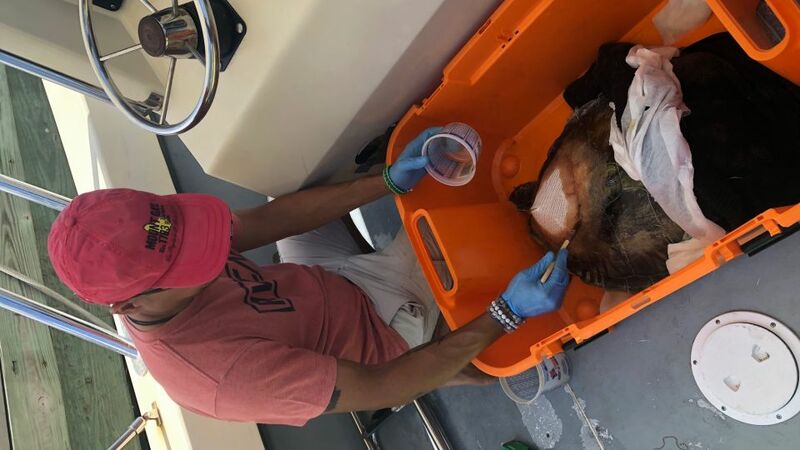 From the account given to the Nature Foundation the vessel struck the turtle in the Simpson Bay Lagoon, cracking the turtle’s upper shell. Upon arrival the Foundation assessed the health of the animal and decided to repair the shell using a fiberglass technique; “When we checked the animal out we noticed a large gash in the shell likely caused by the boat’s propeller. After administering medication and removing bits of shell we decided to follow a technique developed by Frederick L. Frye on repairing its shell. We fiberglassed the shell shut hopefully giving the animal a bit more of a chance of surviving. After a period of rehabilitation the animal was released back into the wild,” commented Nature Foundation Manager Tadzio Bervoets. Sea turtle population numbers have plummeted to dangerously low numbers throughout the past century due to human impacts, bringing many species close to extinction and causing them to be listed as critically endangered. In order to reverse this trend, all sea turtle species are now protected by international laws and treaties as well as local laws. Based on ARTICLE 16 and 17 of the Nature Conservation Ordinance St. Maarten it is illegal to kill, wound, capture or pick up sea turtles. It is also illegal to directly or indirectly disturb their environment resulting in a physical threat or damage or to commit other acts which result in disturbance of the animal. It is also forbidden to disturb, damage or destroy sea turtle nests, lairs, or breeding places. Also, it is forbidden to pick-up or to destroy the eggs of any species of sea turtle. 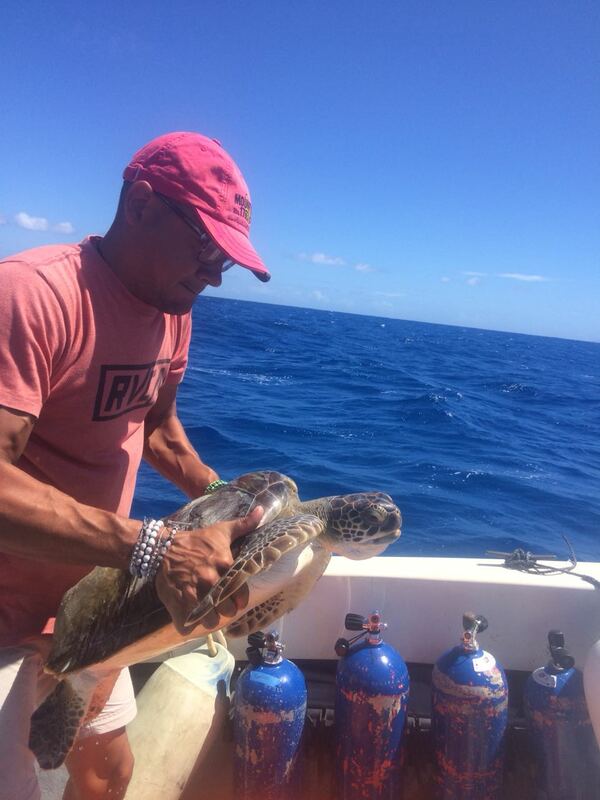 The St. Maarten Nature Foundation actively manages the sea turtle population on St. Maarten, particularly during the nesting season. The Foundation conducts various activities with regards to nesting females including beach surveys, nest excavations, tagging activities, and nest success research. The Foundation is also urging boaters to adhere to the speed limit in the Simpson Bay Lagoon, reducing the risk of injury to both the human and animal users of the Lagoon.